The structure at 66 West High Street and 68 West High Street has been the home to multiple Gettysburg educational institutions. 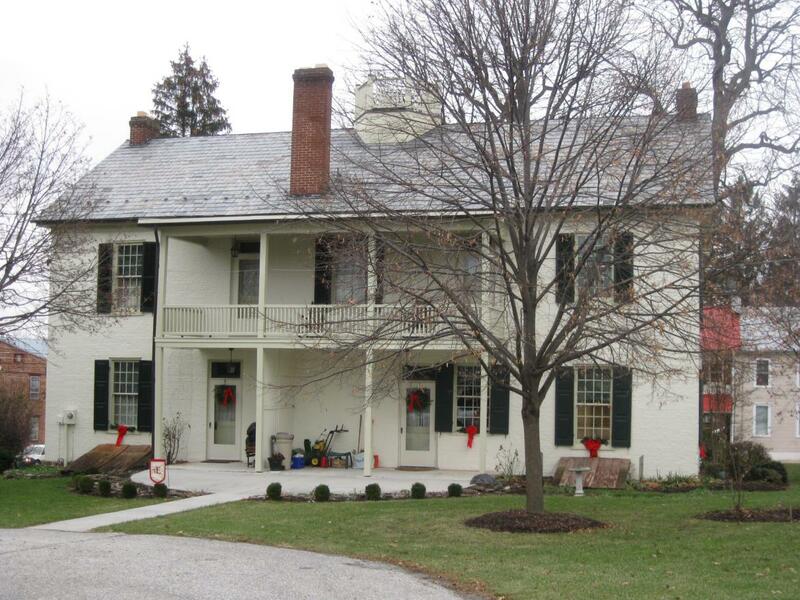 It first hosted the Gettysburg Academy in 1814. Look at the tree in the middle of the picture. The black spot to the right of the tree is an artillery shell sticking in the wall. This view was taken facing south at approximately 3:00 PM on Saturday, December 20, 2008. The large brick building located at the southeast corner of East High and Washington Street has hosted various educational institutions. 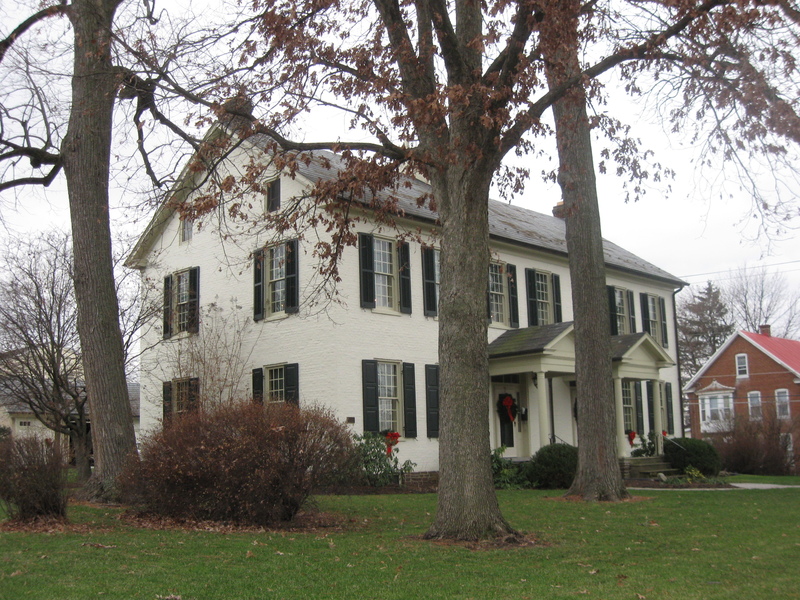 The Gettysburg Academy (sometimes known as the Adams County Academy) operated in the building from 1814 until approximately 1825. 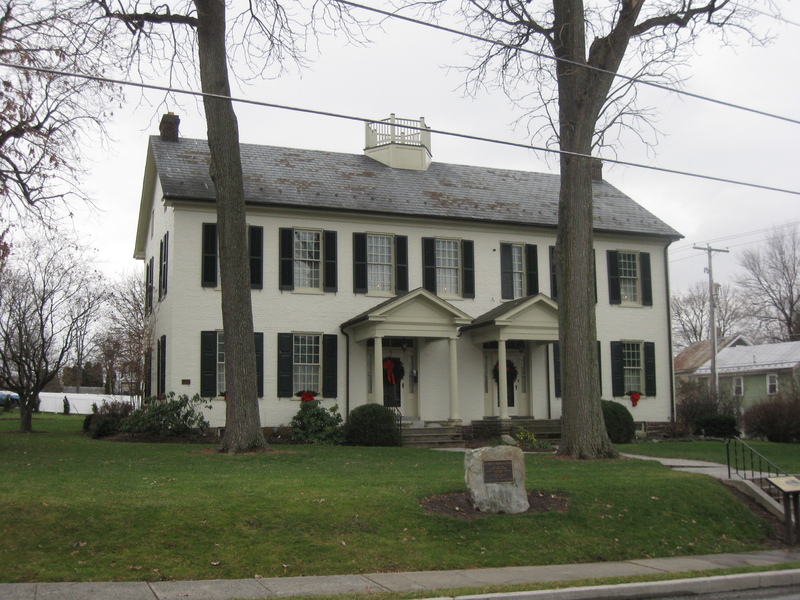 The Lutheran Theological Seminary used this building from 1826 until 1832. The Gettysburg Gymnasium, a preparatory school for the Theological Seminary, educated students here beginning in 1827. In 1832 the Gymnasium became Pennsylvania College, now Gettysburg College. 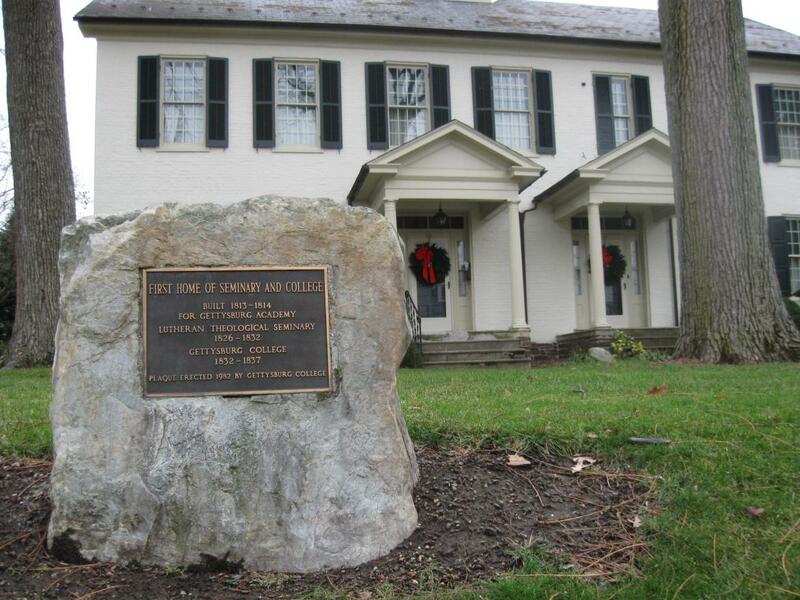 The College remained in this building until 1837 when it moved into Pennsylvania Hall on its new campus. From 1837 to 1856 this structure was used as a school by various teachers. 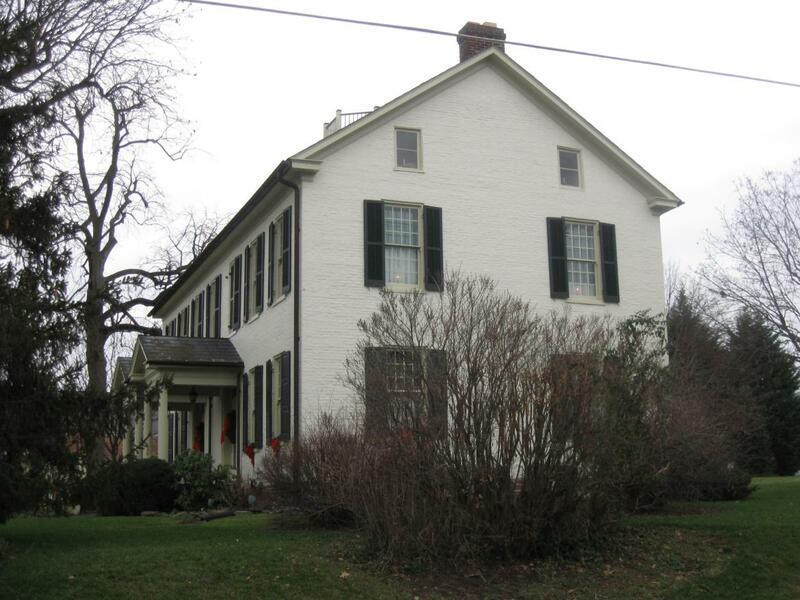 From 1856-1871 it was run by the Reverend David Eyster, and later his wife Rebecca, as the Gettysburg Female Institute. 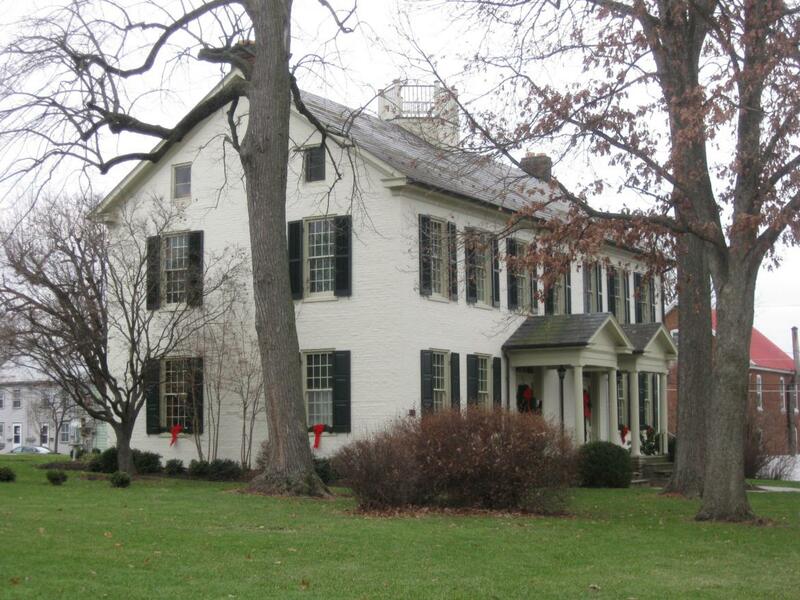 The structure has been a private residence since the 1880s. 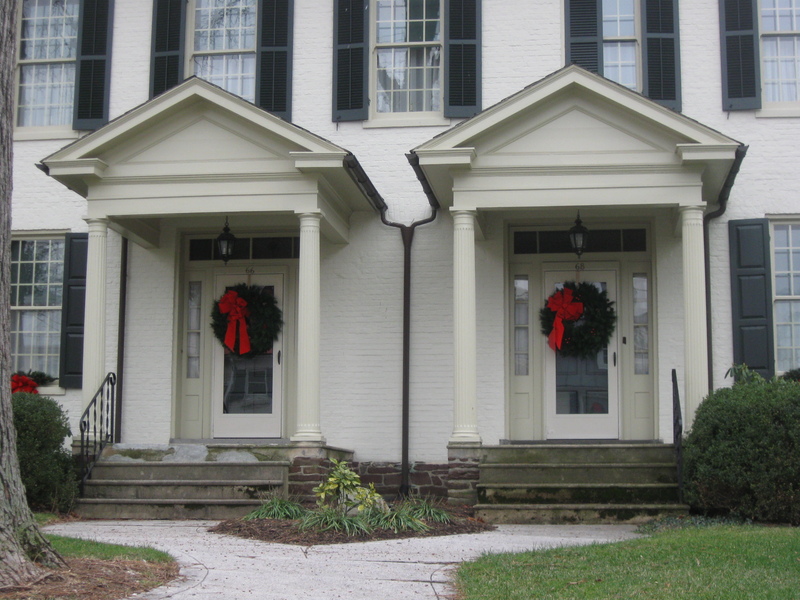 Today we will feature the building during its years as the Gettysburg Academy (1814-1829), and as will be seen, the owners decorated the four sides of their home. When it came to education in Pennsylvania in America’s early years, there was little separation between church and state. In the Commonwealth, secondary education became the domain of the academies. During colonial days, the churches established most of the academies to train young men for the ministry, and clergymen usually served as teachers. This view was taken facing south at approximately 3:00 PM on Saturday, December 20, 2008. 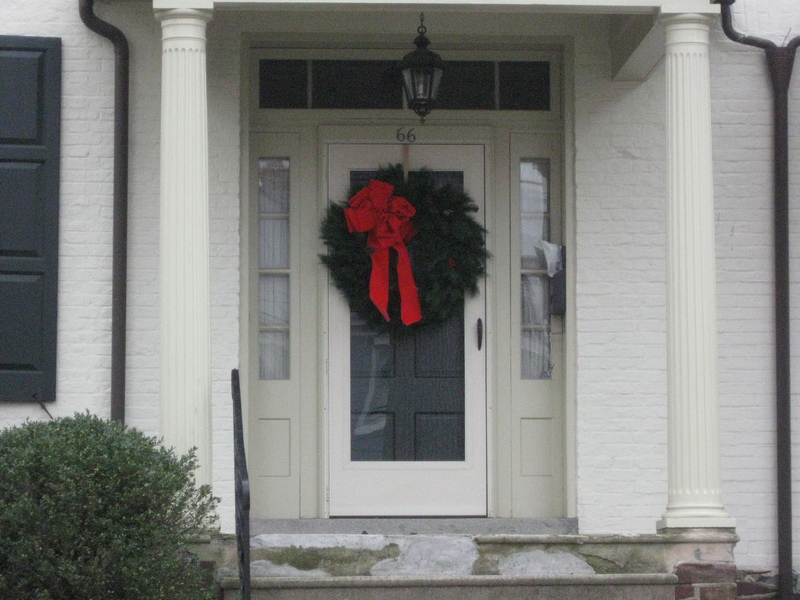 After the American Revolution, public-spirited citizens of nearly every community established local academies, frequently as a county enterprise with the school bearing the county name and located at the county seat. This view was taken facing southeast at approximately 3:00 PM on Saturday, December 20, 2008. The Commonwealth gave land grants to many academies between 1784 and 1800. The State Legislature chartered about 150 academies between 1784 and 1861, and usually gave each newly chartered institution $2000 if the school promised to enroll four or five poor children without tuition charge. This view was taken facing south at approximately 3:00 PM on Saturday, December 20, 2008. Alexander Dobbin’s classical school had operated from 1788 to 1799. Its closing left a void in the education of Gettysburg area youth, and some prominent Adams County leaders pursued a state charter for an academy, which it was hoped could continue Dobbin’s work. This view was taken facing south at approximately 3:00 PM on Saturday, December 20, 2008. On March 19, 1810, the Legislature of Pennsylvania appropriated the sum of $2,000 to aid in establishing an institution under the name and title of the Gettysburg Academy. The act provided that one-half of this sum should be applied to the erection of a suitable building and to the purchase of books. This view was taken facing south at approximately 3:00 PM on Saturday, December 20, 2008. Part of the $1000 not used to construct the building was also, in connection with other sources, to be used to pay for the free instruction of such number of indigent children, not exceeding four, as should from time to time apply for admission. Note that the Legislature stated four or five indigent children should be admitted, and those seeking the charter for the Gettsyburg Academy capped the number at four. This view was taken facing south at approximately 3:00 PM on Saturday, December 20, 2008. The act further provided for the care of the school property and for the management of the school. 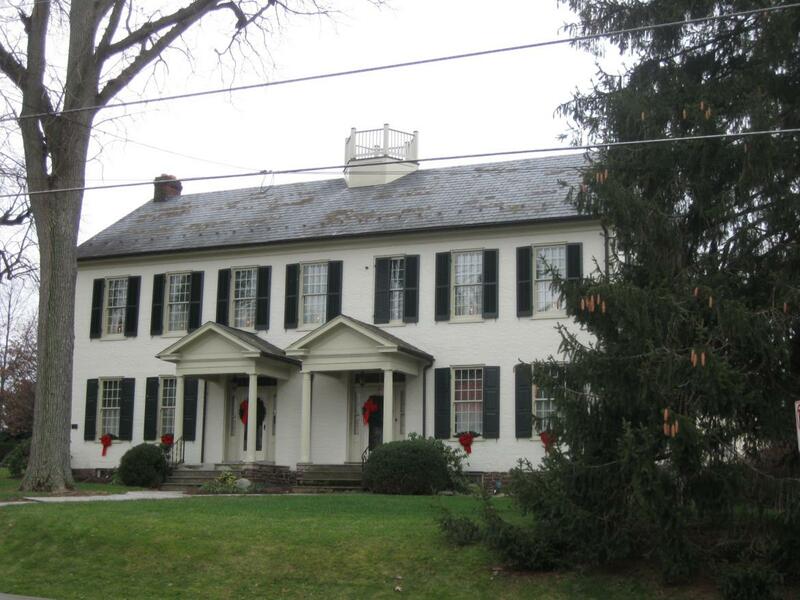 There were eight directors of the Gettysburg Academy who were elected by the voters of Adams County. This view was taken facing southeast at approximately 3:00 PM on Saturday, December 20, 2008. 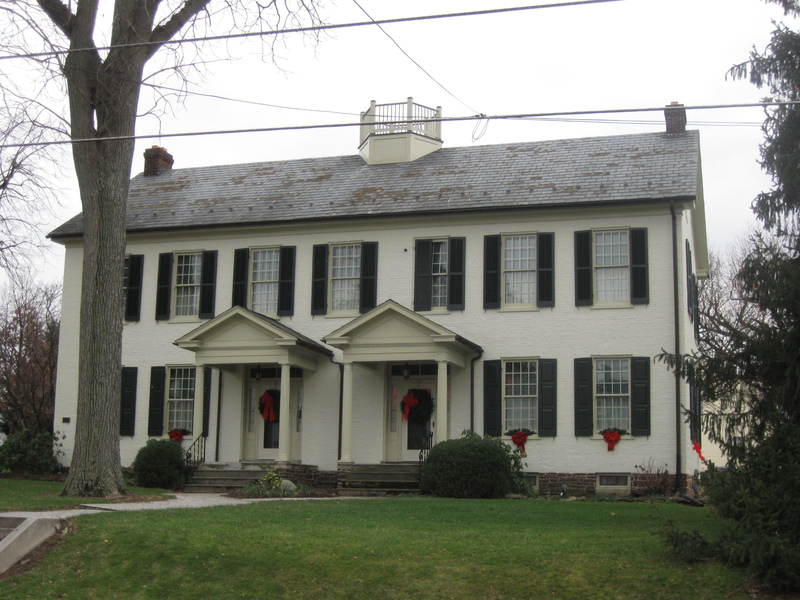 Using the state grant they constructed a large brick building from 1813-1814 at the southeast corner of West High and Washington street in Gettysburg. The building contained two large rooms on each floor. 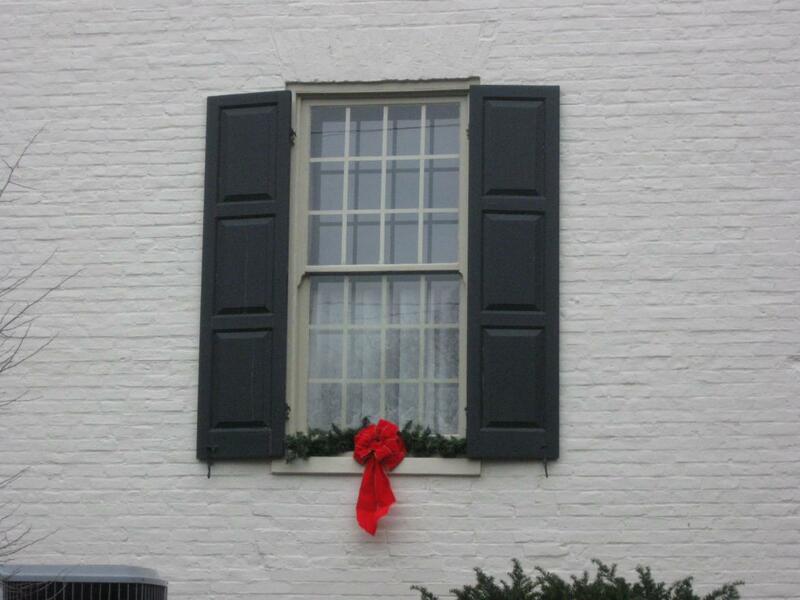 Its doors were opened for the school year 1814-1815. This view was taken facing southeast at approximately 3:00 PM on Saturday, December 20, 2008. During this time period, academies in Pennsylvania and across the country usually emphasized scholarly rather than vocational or practical education. They stressed denominational religion, gentlemanly behavior, oratory, debating, composition and rhetoric, the Greek and Latin languages, classical history and literature, mathematics, and science. This view was taken facing east at approximately 3:00 PM on Saturday, December 20, 2008. The individual capability of teachers determined the curriculum at a particular academy, and the students took what was offered and stayed as long as their parents, guardians, or other benefactors paid the fees. This view was taken facing east at approximately 3:00 PM on Saturday, December 20, 2008. The records appear to show that Mr. Samuel Ramsay or Ramsey, a graduate of Dickinson College, was the first teacher. Ramsey had been a Reverend in Knox County, Tennessee, and moved near his relatives in Gettysburg. Ramsay also spent time reading law in the office of attorney James Gilliland, and was admitted to the bar in Adams County in 1816. Ramsay later became the Adams County District Attorney. This view was taken facing east at approximately 3:00 PM on Saturday, December 20, 2008.
of a New England College, Robert Hayes, who was an Adams County Commissioner in 1812, and Charles Davis, of whom it was later emphasized was a teacher of superior ability. This view was taken facing northeast at approximately 3:00 PM on Saturday, December 20, 2008. 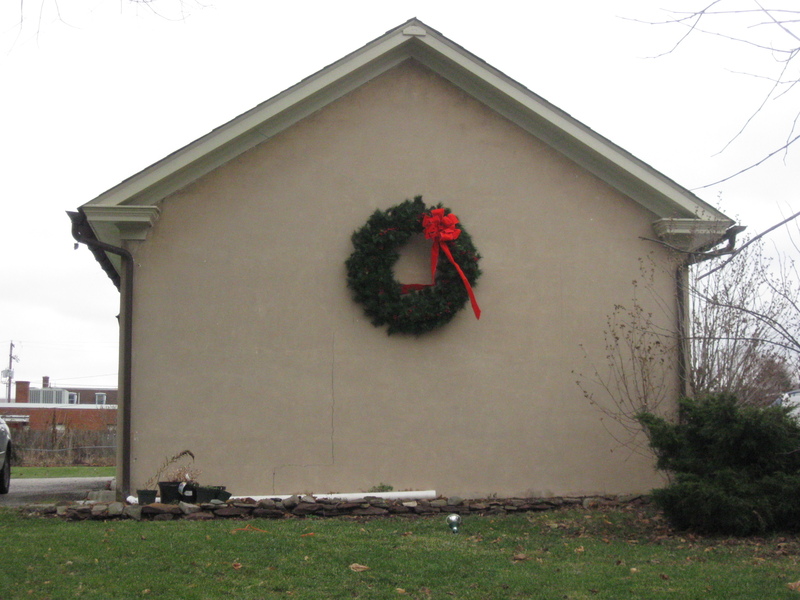 This is an unattached modern garage to the rear (south) of the Gettysburg Academy Building, but we wanted to show you that the owners also decorated it. This view was taken facing east at approximately 3:00 PM on Saturday, December 20, 2008. It seems that at times the students at the Academy received quality instruction, and at first the classes were well attended. Around 1820 the Reverend David McConaughy, D.D., assumed charge of the school and continued it until approximately 1825. This view was taken facing northeast at approximately 3:00 PM on Saturday, December 20, 2008. David McConaughy (1775-1852) was the uncle of the David McConaughy (1823-1902) who was a lawyer, President of the Evergreen Cemetery, and founder of the Gettysburg Battlefield Memorial Association. This view was taken facing north at approximately 3:00 PM on Saturday, December 20, 2008. We had to show the holly tree in the right foreground in this shot. David McConaughy (1775-1852) was born on September 29, 1775 in Menallen, Pennsylvania, six miles from Gettysburg in what was then York County. 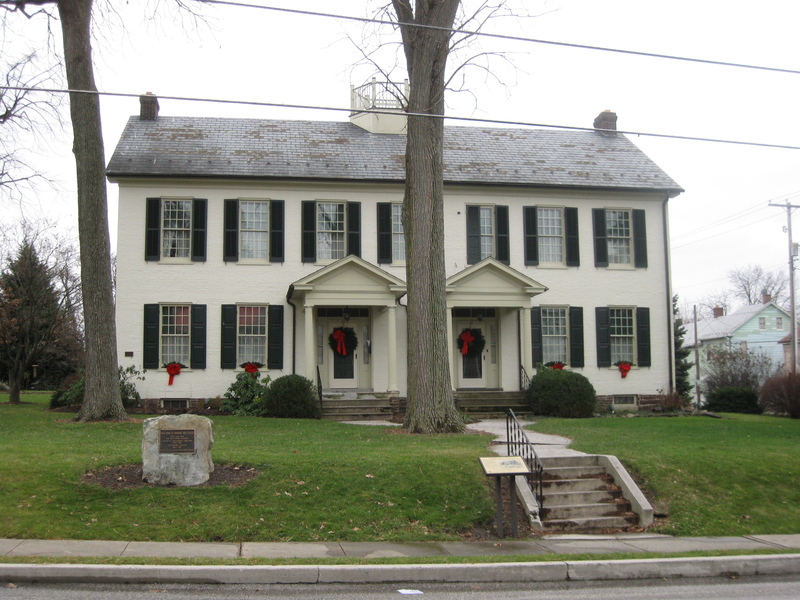 He was a student at Alexander Dobbin’s classical school, and later attended Dickinson College in Carlisle, Pennsylvania. This view was taken facing northwest at approximately 4:30 PM on Tuesday, December 14, 2008. David McConaughy (1775-1852) continued his theological studies under the Reverend Nathan Grier and on October 5, 1797, the New Castle Presbytery licensed him to preach. After a time as a traveling preacher, he became the head of the congregation at Upper Marsh Creek in October 1800. 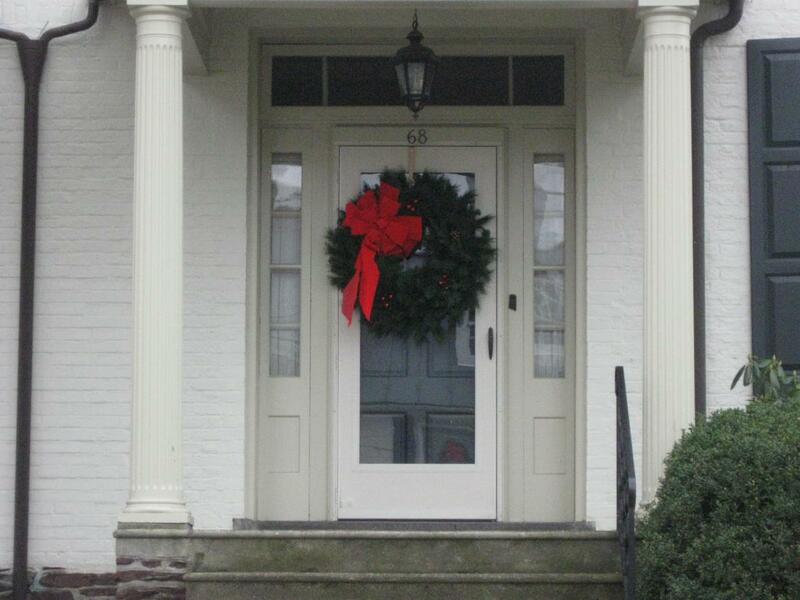 In 1813 the church moved into Gettysburg, and is now the Gettysburg Presbyterian Church located on Baltimore Street. This view was taken facing northwest at approximately 3:00 PM on Saturday, December 20, 2008. During the 1810s and 1820s, David McConaughy (1775-1852) became an active figure in Gettysburg. 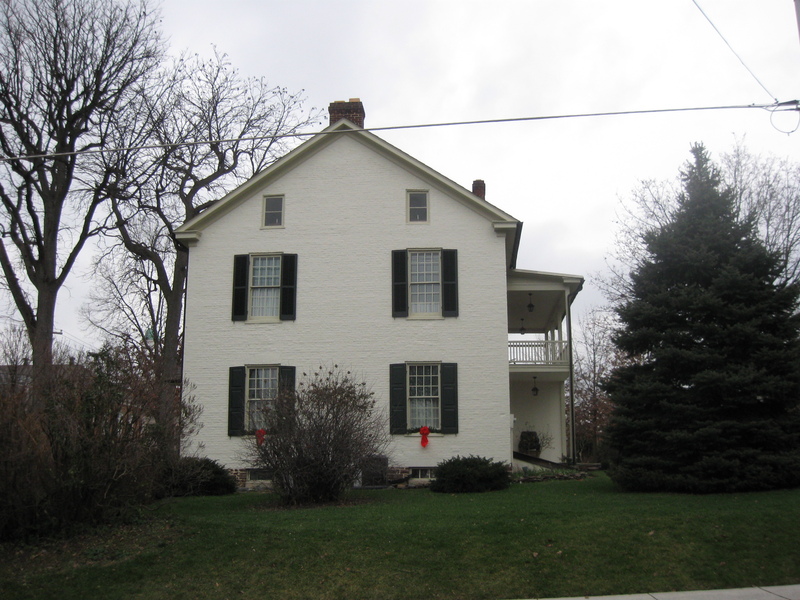 He founded a grammar school in 1807, which Adams County took over in 1812, as well as founding and serving as the initial president of the first Temperance Society in Adams County. 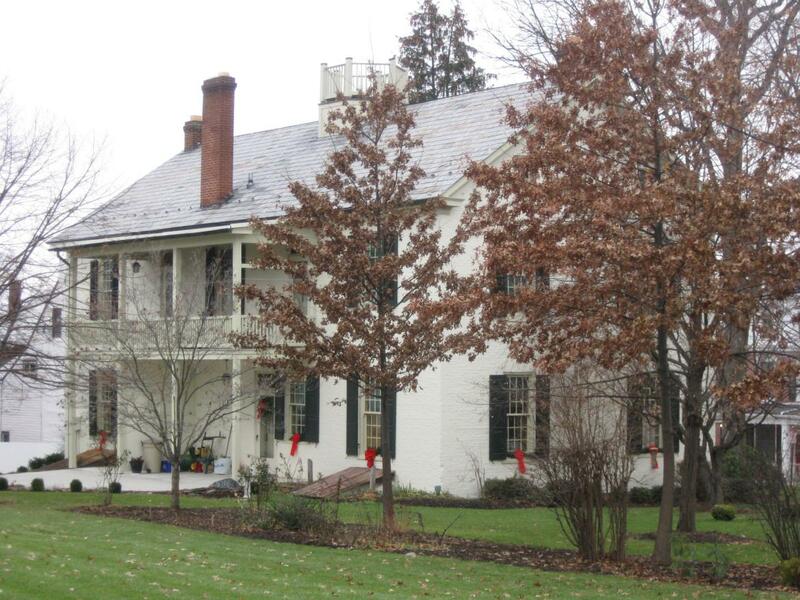 He headed the Gettysburg Academy from 1820 to approximately 1825. However, he could only teach part time, enrollment declined, and the Academy finally became involved in debt. It closed and the building was eventually forced to be sold. This view was taken facing southwest at approximately 3:00 PM on Saturday, December 20, 2008. David McConaughy’s (1775-1852) solid reputation as a teacher led Washington College in Washington, Pennsylvania, to offer him the post of president in March 1830. Although he did not accept initially due to family difficulties, he accepted another offer from the trustees in December, 1831. He was installed as president in May, 1832, and served Washington College for more than sixteen years. He retired in 1849 at the age of 74. This view was taken facing southwest at approximately 3:00 PM on Saturday, December 20, 2008. The closing of the Academy led to an empty building, and an opportunity for an ambitious Lutheran Minister, Samuel Simon Schmucker, who wished to start a Theological Seminary. On September 6, 1826, The Lutheran Theological Seminary began classes here with eight students and Professor Schmucker. 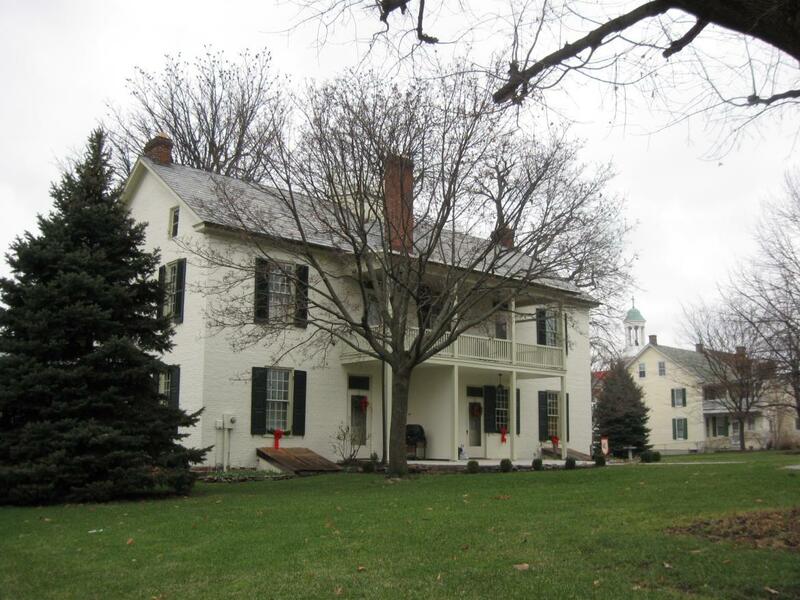 In September, 1829, the now Lutheran Theological Seminary building was sold by the sheriff, and was purchased by Reverend Schmucker for $1,150. This view was taken facing southwest at approximately 3:00 PM on Saturday, December 20, 2008. Leap Day Friday at the High Street School on February 29, 2008. First Light at the Crawford House on March 1, 2008. Early Morning at Professor Jacobs’ House on March 15, 2008. 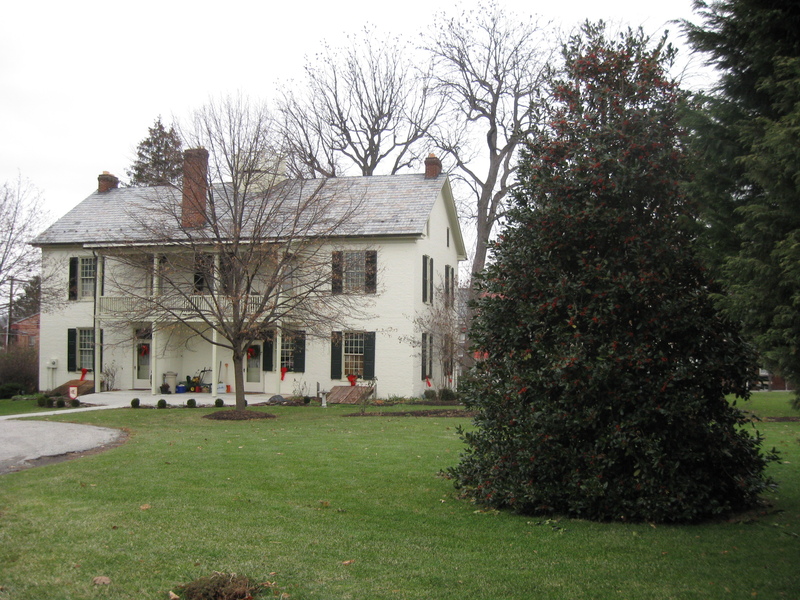 Current Gettysburg College President’s Home on March 26, 2008. Pennsylvania Hall, Gettysburg College on April 11, 2008. 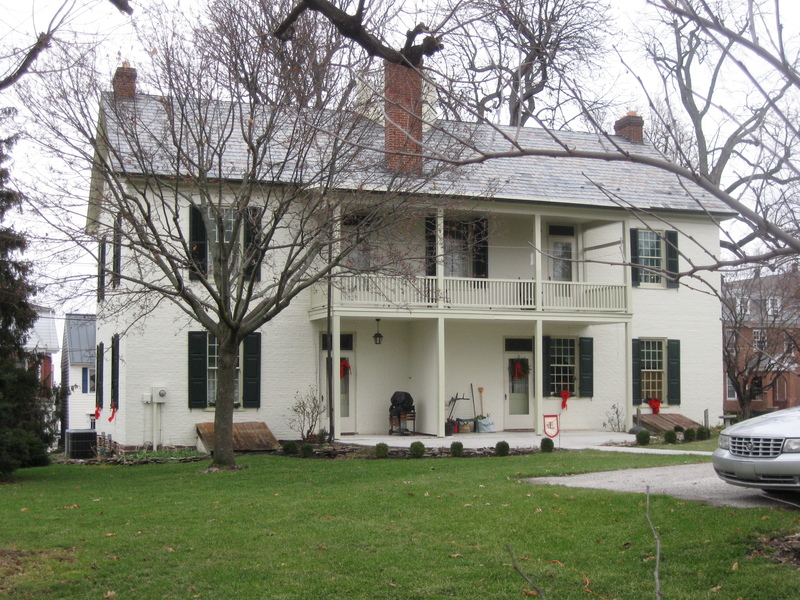 Civil War Research Center Center Opens in Schmucker Hall on June 20, 2008. Leveling of Seminary Ridge Avenue on October 3, 2008. Update on Seminary Ridge Roadwork on October 24, 2008. Gettysburg Diamond Christmas Lights on December 8, 2008. Christmas Wreaths in the National Cemetery on December 9, 2008. Some Christmas Decorations at the Nicholas Codori House on December 17, 2008. 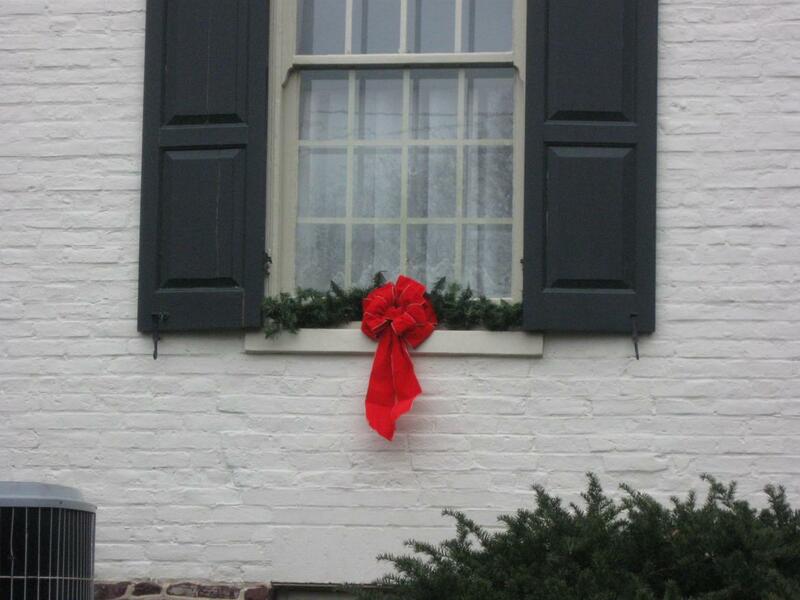 Christmas Decorations at the Alexander Dobbin House on December 18, 2008. 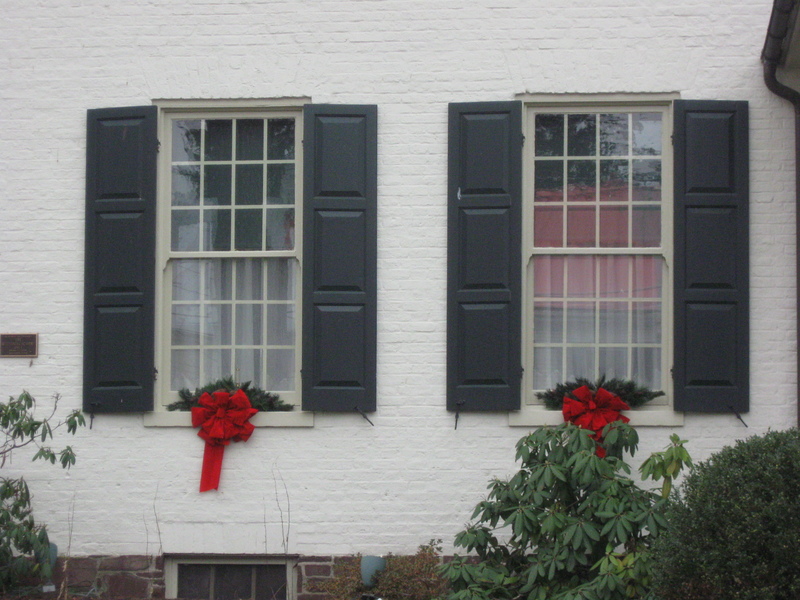 A Couple of Christmas Decorations at the Henry Baugher House on December 19, 2008.